Activists have hijacked a tourist coach in Barcelona – the first sign that agitation against mass tourism is returning to Europe as the summer peak approaches and millions of tourists stream in. 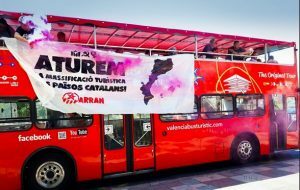 Members of the youth organisation Arran stormed the tourist coach, let off green and white smoke flares and hung a sign from it saying “Stop mass tourism in the Catalan countries”. They posted pictures of their demonstration on the group’s Facebook page. The activists say mass tourism is ruining the lives of locals and pricing them out of the property market while spoiling beaches and beauty spots. Some Spanish newspapers term the attitude “turismofobia” (tourism phobia) but many locals think the activists have a point. 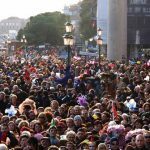 Last year 32 million tourists visited Barcelona, about 20 times the resident population. It’s the equivalent of 100 million people visiting Sydney or Melbourne. Barcelona’s most popular market, La Boqueria, has banned large tourist groups. Freezing all new licences for hotels or companies linked to tourism. Starting a public debate on a new sustainable tourism model. Prohibiting immediately the activity of companies related to tourist flats, such as Airbnb, as well as regulating the price of housing. Reducing and limiting the number of cruises arriving in the different ports of the Catalan countries. Increasing taxes on companies in the tourism sector and allocating revenue to diversify the economy. Seizing the main tourist companies and assets of the country, such as the various marinas, hotels such as Vela or Las Arenas, or themed parks such as Port Aventura and using the profits to help all the population. Improving labour conditions, increasing and controlling salaries and eliminating illegal working in the ‘black economy’. France, expecting 90 million visitors this year, is under similar pressure, with tourists being urged to book online up to three months in advance to see top French sites like the Louvre, the Eiffel Tower and the Château of Versailles. Christian Mantel, head of France’s national tourism development agency Atout France, says that if nothing is done, “in five years time it will be necessary to regulate the number of first-time foreign visitors to France”. He told Britain’s Daily Telegraph that sites in Paris desired by tourists are “close to saturation”. Venetians protested last year against a procession of giant cruise ships and Dubrovnik has announced strict limits on entry to its World Heritage-listed Old Town. 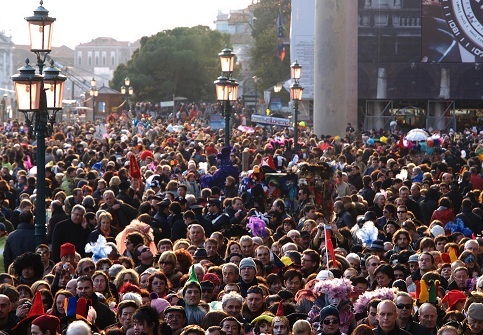 Protests of various types erupted in Venice, Rome, Amsterdam, Florence, Berlin, Lisbon and Palma de Mallorca. Globally, the number of tourists has more than doubled in the past 15 years to exceed 1.3 billion last year. National tourist organisations try to encourage visitors to see lesser-known regions.